A suspicious package was reported to police at 4pm on Wednesday afternoon, prompting police to cordon off an area of approximately a mile across, before the package was identified as a pollution sensory device set up by the University of Cambridge. Shops and restaurants in the area were also evacuated, including Heffers. The pollution sensory device had been placed by a student on their bike outside Trinity College. The porters saw it and considered it suspicious, proceeding to contact the police. 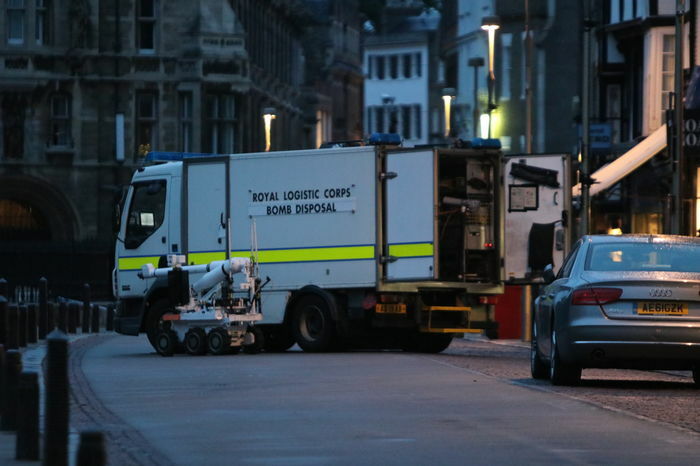 The cordons were lifted at approximately 6pm, when the suspicious package was revealed to be a Cambike Sensor, a tracker allowing the user to “monitor air pollution, estimate road quality, and track your bike”. The student who had placed the device on their bike told Cambridgeshire Live that they felt “terrible … causing all this expensive damage”. They stated that, to them it didn’t “really look weird at all. It was just a normal science project”. This is not the first time the police have been alerted to a suspicious package in Cambridge that was revealed to be safe. In June last year, police safely disposed of a suspicious package found outside Great St Mary’s, which turned out to be a briefcase full of books.